Quick overview The introductory history to the Christian faith. In The Story of Christianity, acclaimed theologian David Bentley Hart provides a sweeping and informative portrait of a faith that has shaped the western world and beyond for over 2,000 years. 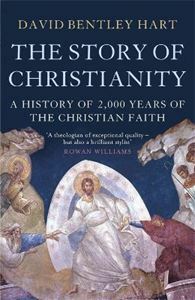 From the persecutions of the early church to the papal-imperial conflicts of the Middle Ages, from the religious wars of 16th- and 17th-century Europe to the challenges of science and secularism in the modern era, and from the ancient Christian communities of Africa and Asia to the 'house churches' of contemporary China, The Story of Christianity triumphantly captures the complexity and diversity of Christian history.